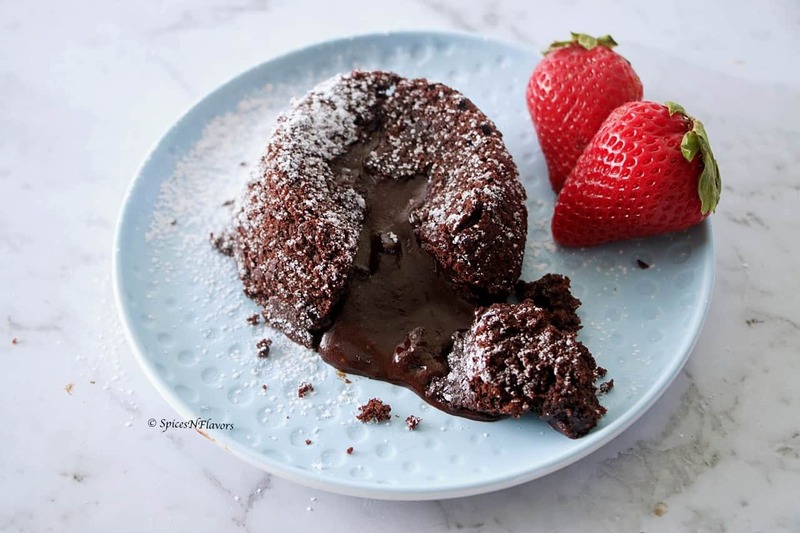 Eggless Choco Lava Cake; the name itself is enough to make my mouth water.. Don’t you agree?? 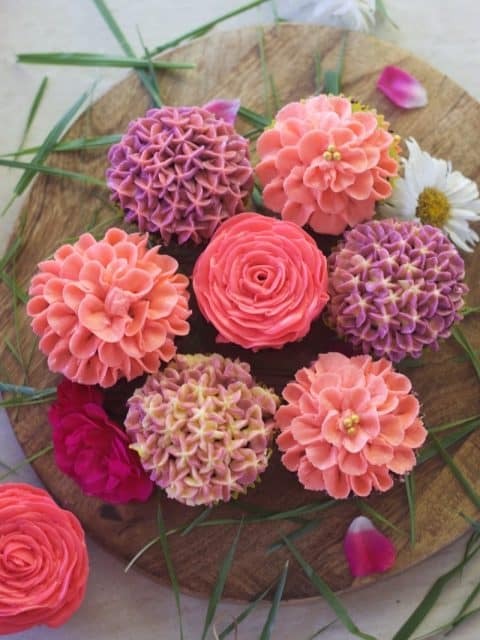 Baking is something that we all enjoy.. 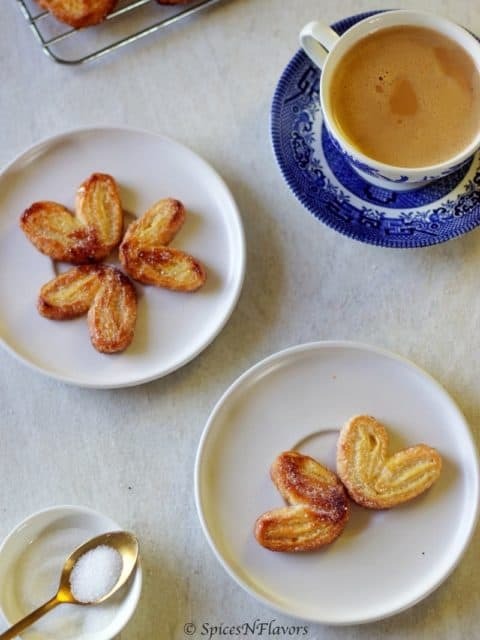 Seeing my chocolate melt, that shiny glossy texture and a silky smooth flow; sifting of my dry ingredients watching the tiny granules falling taking the shape of snow flakes.. 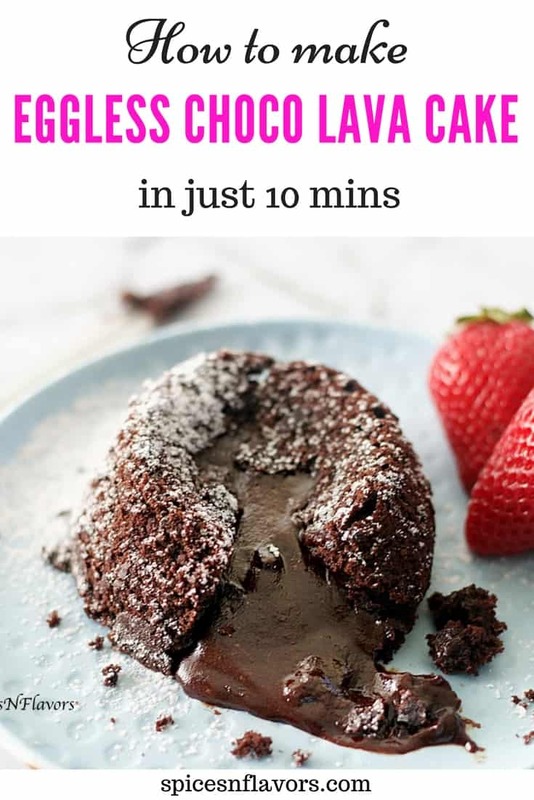 The speciality of this Eggless Choco Lava Cake recipe is that it makes use of both butter and oil.. 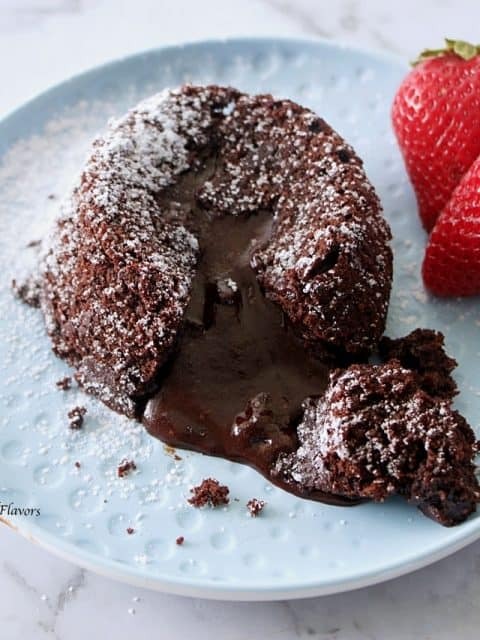 Butter adds an amazing flavour and oil makes this eggless choco lava cake super moist.. 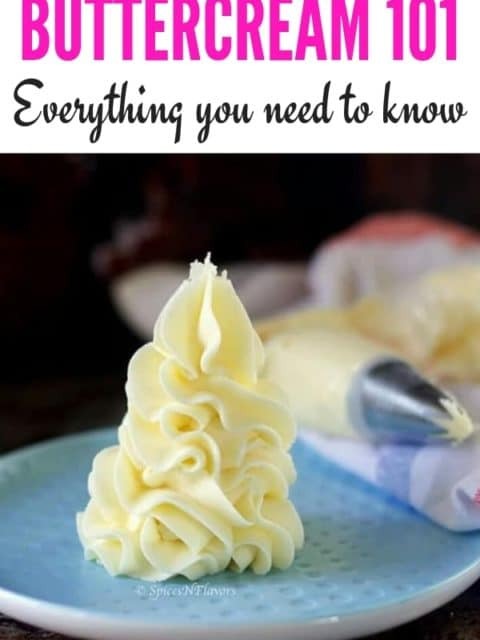 Unlike other recipes this does not call for an addition of chocolate pieces so you have to be careful while baking these.. that is because there is a thin line between raw cake, the actual lava cake and over-baked cake.. If you bake it for a minute less this would have a beautiful lava but it would taste raw. And if you over-bake it would still taste amazing but won’t have that oozy lava instead would be a regular cake. 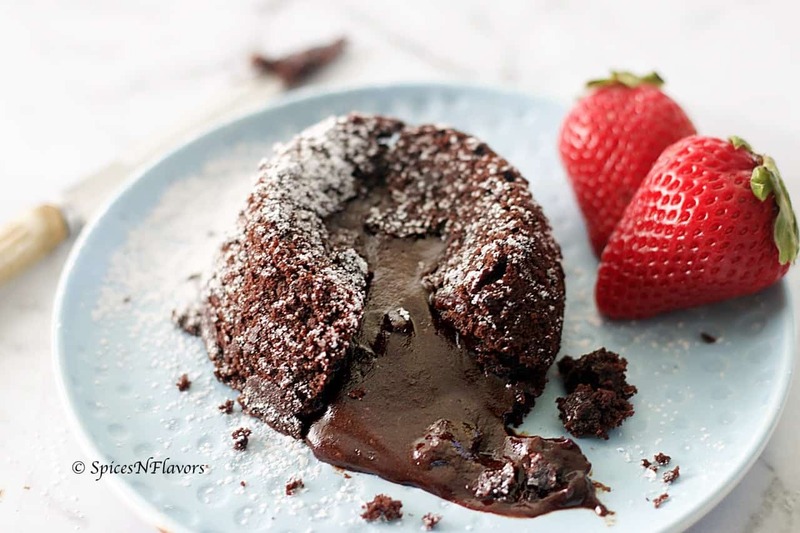 So I would suggest you to first test bake just one ramekin to see how long it takes in your oven and then you can go ahead and bake all..
Eggless Chocolate Lava Cake is a warm, oozy, gooey and chocolaty dessert perfect for any occasion..
Add this chocolate mixture to the dry ingredients and mix. Finally add in the milk and form the cake batter. Divide the batter into buttered and floured ramekins. Bake in a preheated oven of 200°C for 12-15 mins. Start by preheating the cooker. For which onto the base add in a layer of salt and spread it out evenly. Place a stand on top and a perforated plate if you have. Close the lid without gasket and whistle. Pre-heat on med high flame for 10 mins. Once the cooker is pre-heated place the ramekins within and bake in the cooker for around 14 mins. To bake it in the pressure cooker I made use of this steel bowl regular coffee davra in Tamil. I found that it took me 14 mins to bake in these and the lava was also pretty decent. However the ones that were baked in the ramekins were baked quicker and had a much better texture and lava to it..
May be because the cooker was hot till then or may be because of the ramekins.. but taste wise both were equally amazing..
For easy un-moulding you can also choose to use silicon moulds. And trust me these cute little finger mittens were so much handy for this or else I would have definitely burned myself.. I have a whole playlist solely for pressure cooker baking you must definitely check that out.. If you like today’s recipe then do tag me, tweet me or instagram me. I would love to follow you and your posts.. I couldn’t find the video for this recipe though you have mentioned it. Could you please give the link to it?